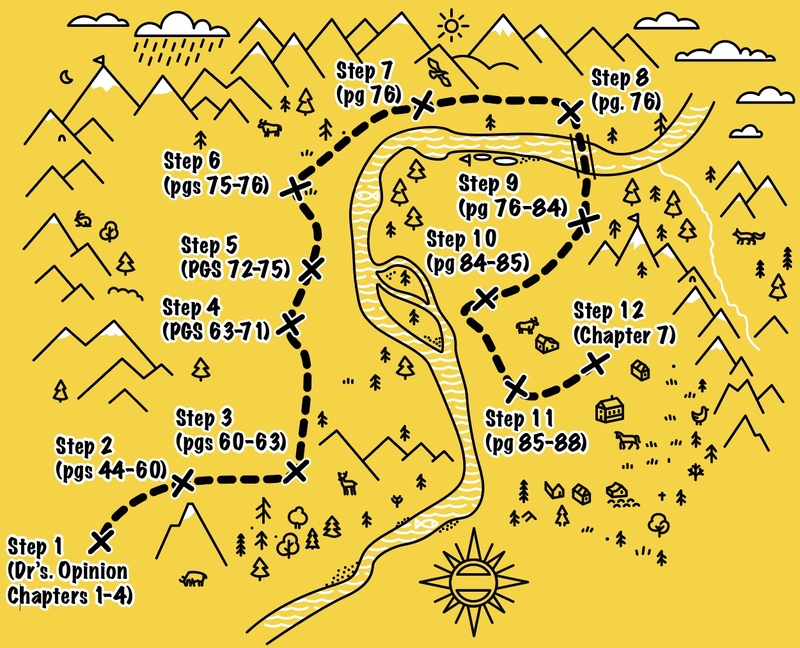 This is a simple treasure map of the locations for taking the steps for Alcoholic’s Anonymous. I created the map for my upcoming book on leading someone through the 12-steps for an incarnated person who cannot attend meetings. Think of it as a journey. The map is not the treasure, but the journey to the treasure.